Longtime visitors to Duluth will notice a major new development as they drive into town: a new resort hotel perched on the Lake Superior waterfront. The hotel opens Thursday, in time for the 40th annual running of Grandma's Marathon this weekend. 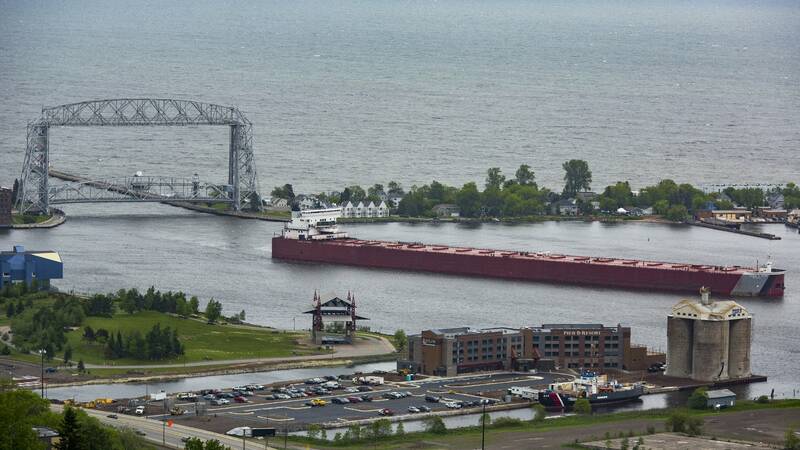 And it's just the latest sign of a tourism boom in Duluth. 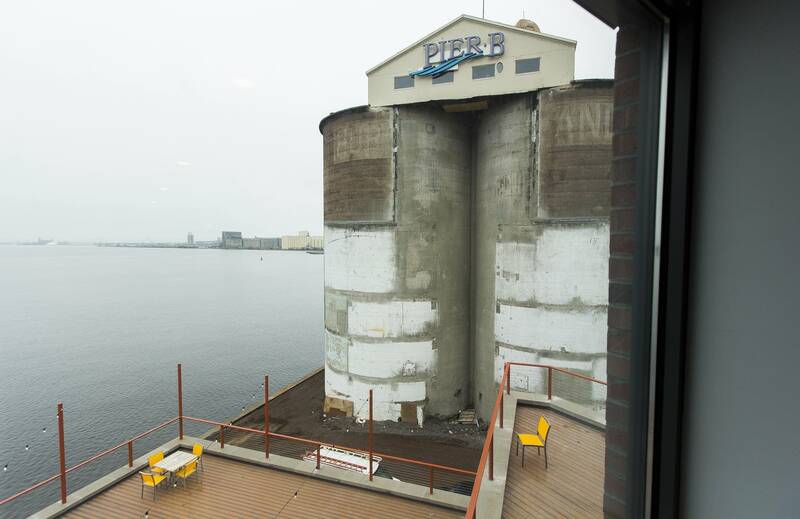 The Pier B resort is emblematic of Duluth's evolution over the past few decades, from an industrial-based economy to one relying more on health care, education and increasingly, tourism. 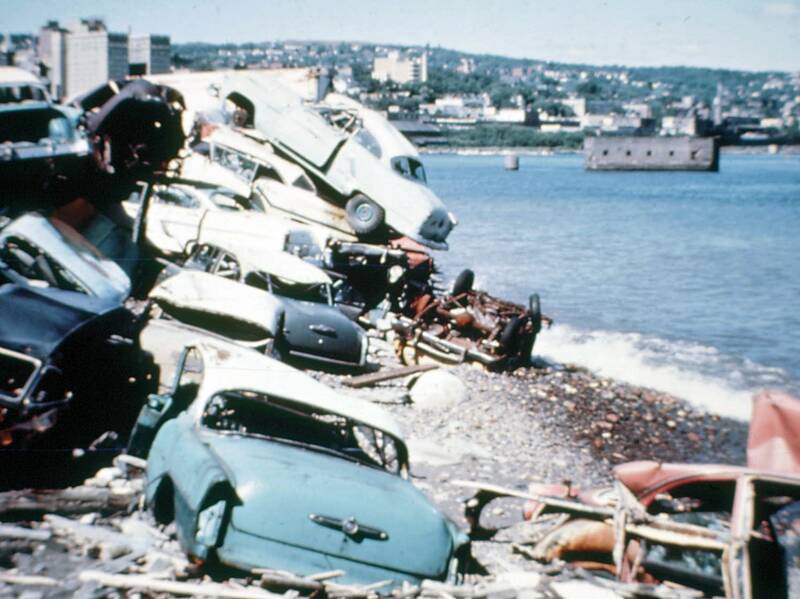 "Everything we have here was representative of what would have been here in the old days," said Alex Giuliani, one of the $32 million, high-end hotel's co-developers. Pier B is built on top of an old, polluted cement terminal. Four 100-foot-tall cement silos still stand next to the resort. "You can see the big heavy timbers, the metal, the glass," Giuliani said. "We wanted to be true to that." 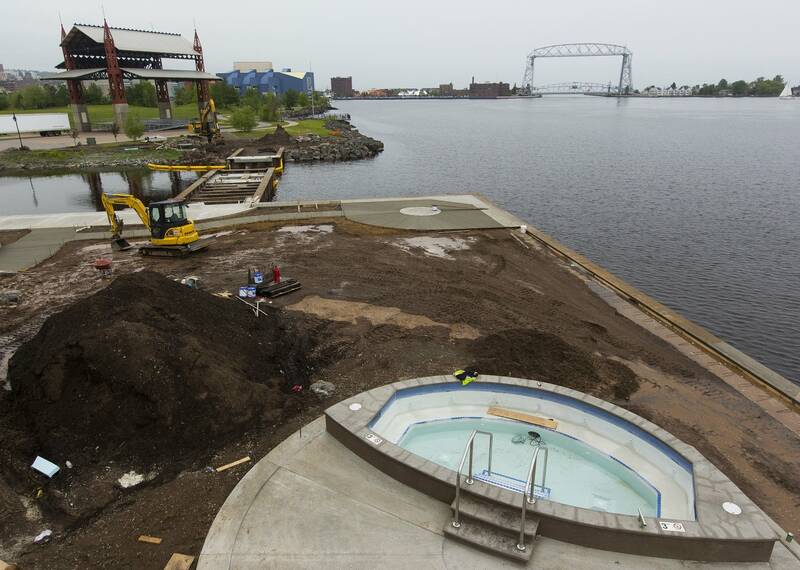 Just 20 feet from the lake's edge, the hotel will feature 140 rooms, many with views of Duluth's iconic lift bridge, a banquet room and a marina. The developers even hope to convert the cement silos into a brewpub or retail space. The city and state kicked in about $5.5 million in public funding to help cover redevelopment costs and to clean up contaminated soils. Giuliani said Duluth's tourism market is strong and resilient. Even after the 2008 recession, he said, visitors kept coming. "People from the Cities and Chicago still come," he said. 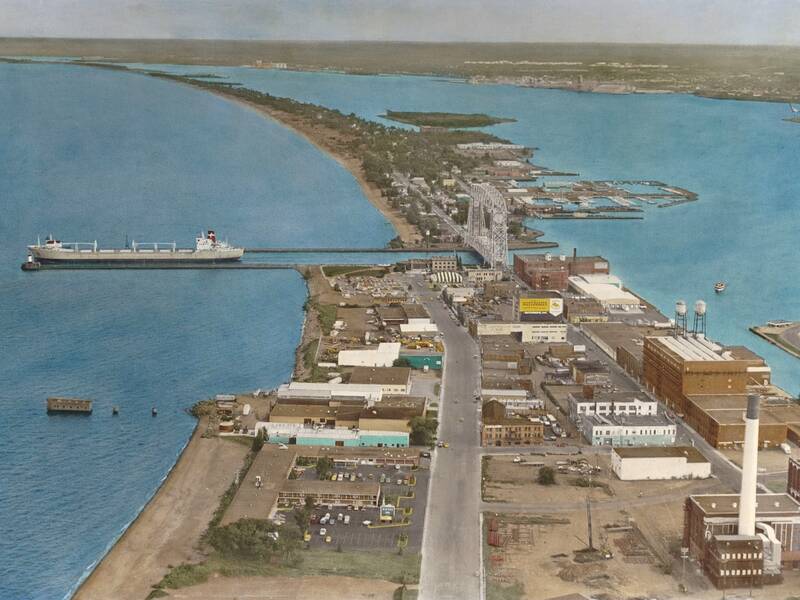 "They might not be going overseas or travelling to the Caribbean, but they'll still come to Duluth." 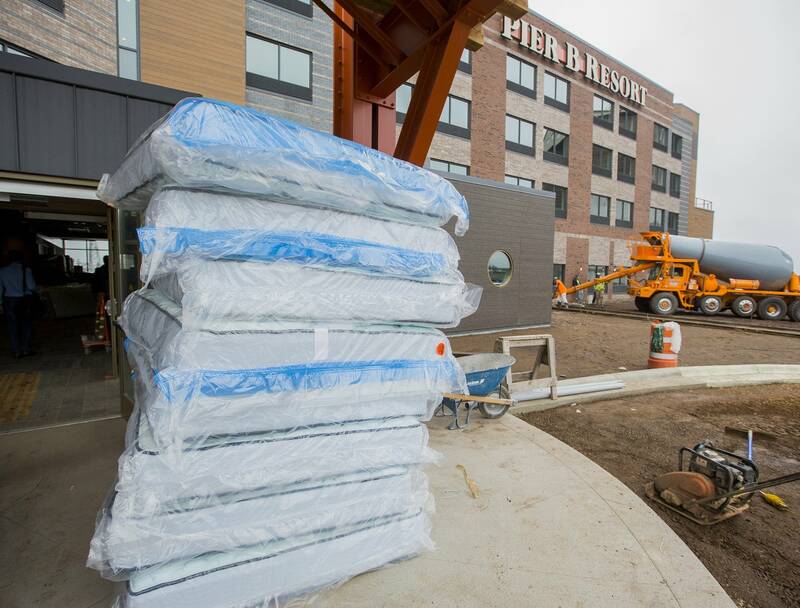 Pier B is one of three new hotels opening in Duluth to meet that demand. Together they'll increase the number of rooms in the city by 10 percent. Meanwhile, revenue the city collects from a tourism tax it adds to hotel and bar and restaurant tabs has more than doubled in the past decade. It jumped 21 percent to an all-time high of $10.6 million last year. The city tacks on 6.5 percent in taxes on hotel stays, and 2.25 percent on food and beverage sales. Proceeds get funneled back into many of the attractions, and will be used to help fund new investments in outdoor recreation along the St. Louis River. 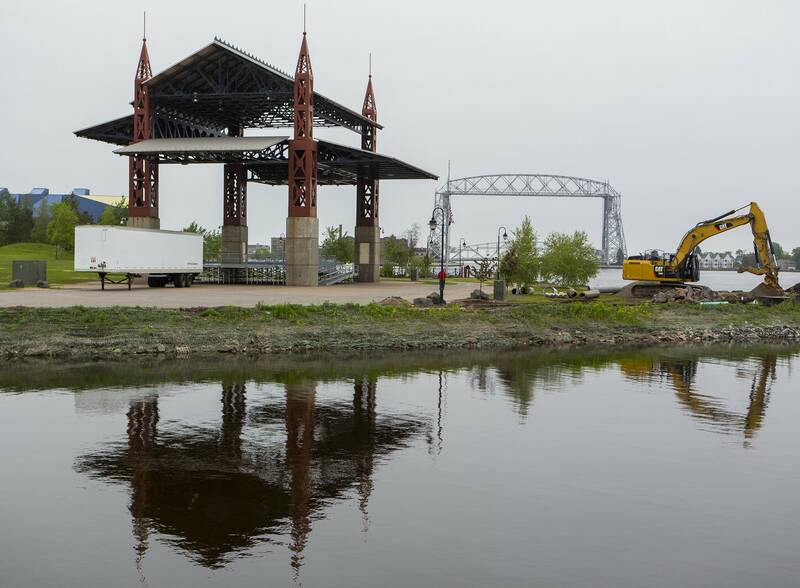 Tourism is "paying for the investment that's been happening in our community," said Duluth Chamber of Commerce President David Ross, "with the hotels and the brew houses and all of these wonderful attractions that we as citizens of Duluth enjoy while the tab is being picked up by visitors." Over the same period the number of jobs in the leisure and hospitality sector went up nearly 10 percent. So what's driving all that growth? 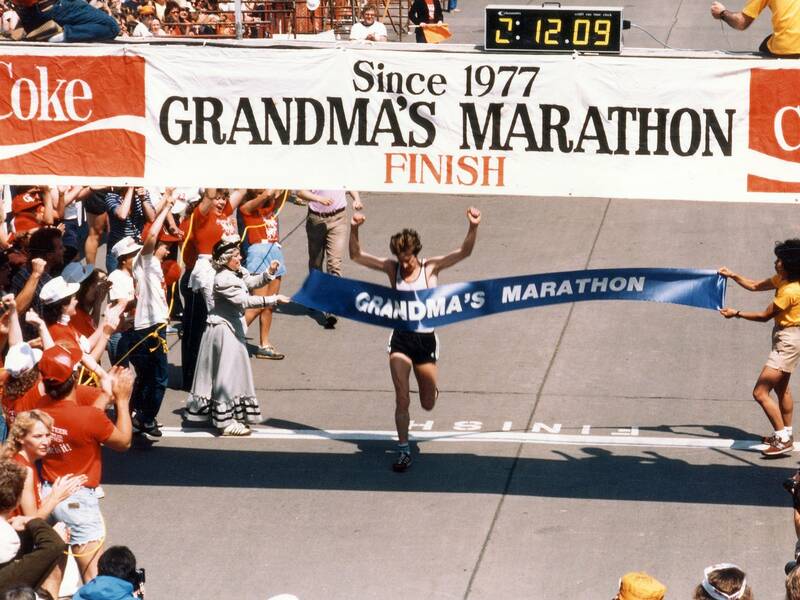 Events like Grandma's Marathon play a big role. The race is expected to draw it's biggest crowd ever this year: More than 60,000 people. "You're hard-pressed to find a weekend that we don't have an event going on," said Matt Baumgartner, who manages Grandma's Sports Garden in the city's Canal Park neighborhood. The restaurant company is the marathon's namesake. It's also celebrating it's 40th anniversary this year. In addition to the marathon, there are big blues and reggae festivals and other concerts. The number of conventions has tripled in the past 25 years. And Baumgartner said youth sports tournaments have provided an under-the-radar area of growth for his restaurant. "It's every weekend now that there's some big tournament, whether it's hockey, soccer, baseball, and it brings full families into town who have one child participating and the rest of the family looking for things to do," he said. 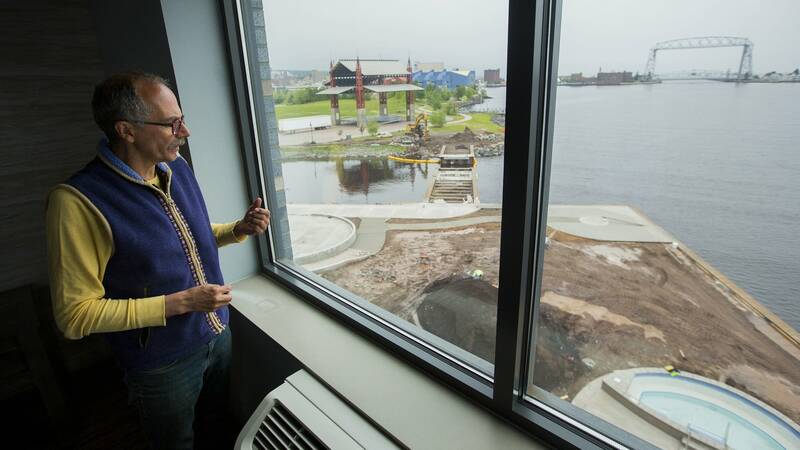 But while tax revenues are up from restaurants and hotels, Anna Tanski, president of Visit Duluth, said the number of actual tourists visiting Duluth has remained relatively flat: around 3.5 million per year. What's driving the growth in tax revenue, she says, are hotel rates. "They are not shy about charging, and you know they make hay while the sun shines," Tanski said. "We do tend to see rates upwards of $350, $400 per night, and sometimes there will be a two night minimum required." Tanski said visitors are spending more elsewhere, as well. Several area attractions, including the Glensheen historic mansion and the William A. Irvin ore boat reported record visitation last year. But millions of tourists flocking to town do cause headaches for locals. Duluth physician Scott Wolff is planning to head out of town this weekend during the marathon. And Cathy Caine, who works at the University of Minnesota Duluth? "I'm leaving town..." she said, somewhat guiltily. Both say they avoid the tourist mecca Canal Park during the summer, when traffic can snarl streets. 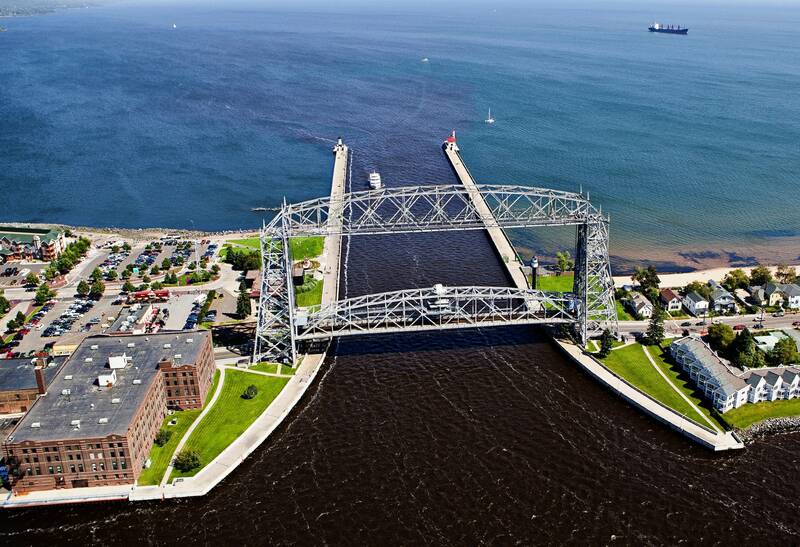 But both also acknowledge the benefits that tourism brings to Duluth. 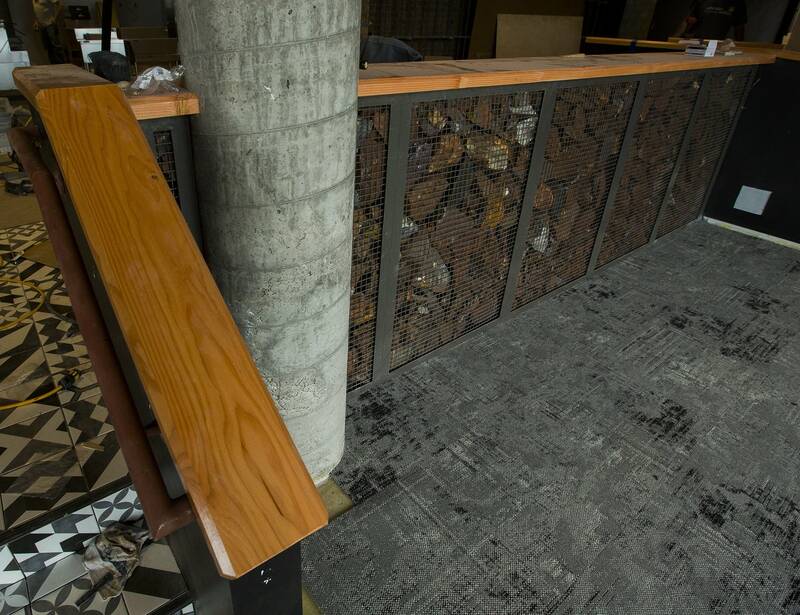 "We have more restaurant options, more taphouse options, I like the local breweries," Caine said. "I don't think if we [didn't have] the tourism industry that we have we would have some of the options that we have." Wolff, who lives on Park Point, across the Aerial Lift Bridge from Canal Park, said, "We always kind of like late fall coming around, we feel we get our neighborhood back." 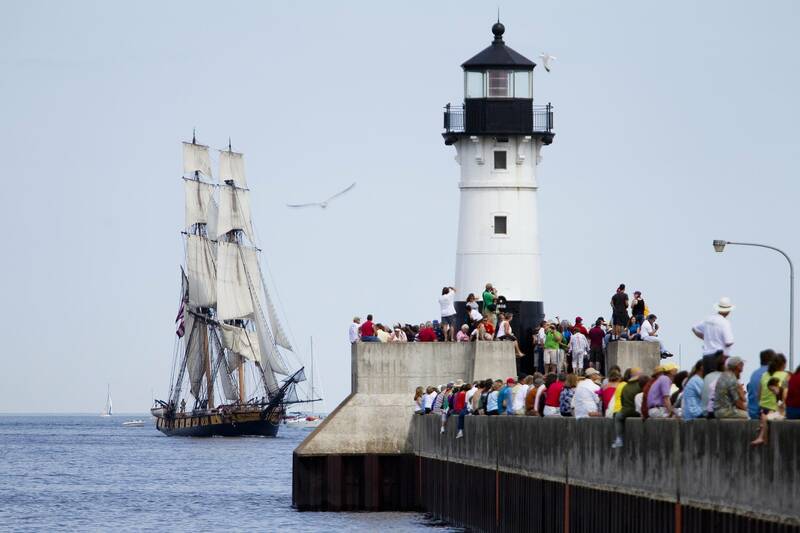 Later this summer, more locals might be fleeing the city when the Tall Ships Festival returns to Duluth in August. But local businesses and tourism officials will be celebrating. The crowd this year is expected to reach 300 thousand people. "It can be one of those frustrations when you are a local that you can't find a parking spot or you have to wait for a restaurant," said Tanski, "but It's funny when I'll go to a restaurant and there's an hour wait, I want to do a cheer because that means everybody's busy!"